Ryan Cline is an American basketball player. He currently plays for the Purdue Boilermakers men's basketball team of the Purdue University that competes in NCAA Division I. He plays in the guard position. He played high school basketball at the Carmel High School. The No. 3 seed Purdue Boilermakers has now advanced to the Elite Eight for the first time since 2000. The Boilermakers will face top-seeded Virginia. They defeated Tennessee 99-94 in the overtime in the Sweet Sixteen. Ryan Cline and Carsen Edwards had one of their amazing matches scoring a total of combined 56 points. 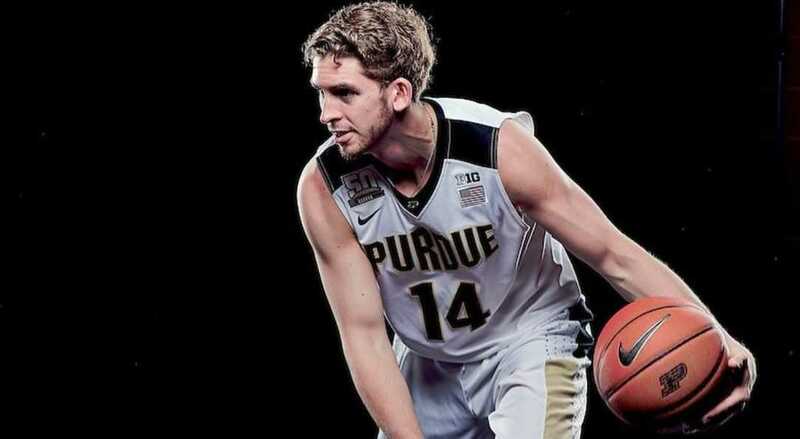 The senior guard Cline scored 7 three-pointers out of 27 points he scored for the Boilermakers. Named the MIC Conference Player of the Year in 2015. Ryan Cline was born on 10 April 1997. He was born to a father, Mike Cline, and a mother, Micki Cline. His birth place is in Carmel, Indiana in the United States. He holds American nationality. His father played basketball at Ohio State and captained the Buckeyes as well. He grew up in Carmel, Indiana. He attended Carmel High School in Carmel, where he played his high school basketball. He averaged 16.9 points per game as a junior. He helped the Carmel to claim the 2013 Indiana 4A State Championship. He gained national attention when he earned MVP honors of the Adidas Super 64 tournament. He led his team to AAU circuit title. He averaged 21.0 points, 5.1 rebounds, and 5.0 assists per game as a senior at high school. He won the American Family Insurance High School Three-point Championships in April. He was named the MIC Conference Player of the Year in 2015. ESPN.com considered Ryan a 4-star recruit, whereas Rivals.com considered him 3-Star recruit ranking him at No. 141 nationally. He enrolled at Purdue University, where he is majoring in organizational leadership. He committed to play for Purdue Boilermakers of the Purdue University. He wears shirt number 14. In his freshman year at Purdue, he played all 35 matches averaging 13.6 minutes per game posting 3.9 points, 1.3 assists, 1.2 rebounds, and 0.2 steals per game. He tied with Robbie Hummel for the fourth-most trifectas by a freshman in school history making 42 out of 109 3-pointers. His 42 3-pointers were also the third most by a Big Ten freshman. He was also the 1 of 2 players to make 40 or more 3 pointers and three or fewer 2 pointers. In his sophomore year, he played 31 matches averaging 5.4 points, 1.6 assists, 2.0 rebounds, 1.4 assists, and 0.1 blocks, and 0.2 steals. In his junior year, he appeared in all 37 matches averaging 17.3 minutes per game. He recorded 4.0 points, 1.7 rebounds, and 1.7 assists. He became the third player in school with 100 triples in a season. Who is Ryan Cline Dating? Ryan Cline is unmarried. But he is not single. He is in a relationship. The identity of his girlfriend is not available at present. The detail information regarding his personal life will be updated soon. What Are Ryan Cline's Body Measurements? Ryan Cline stands at a height of 1.98 m i.e 6 feet and 6 inches tall. He has a body weight of 195 lbs i.e. 88 kg. He has an athletic body build. He has dark brown eyes and his hair color is also dark brown. 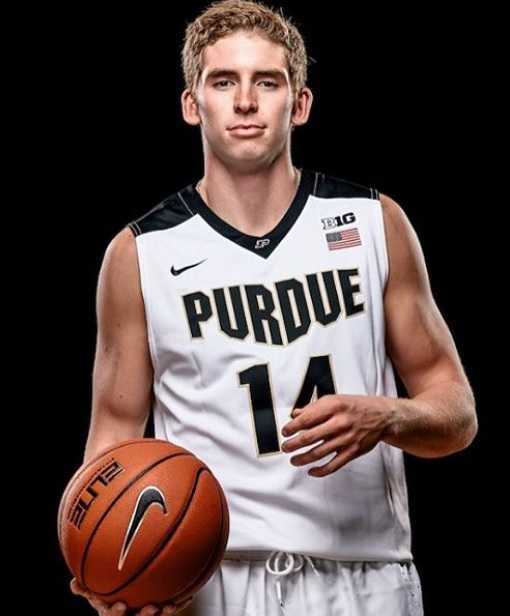 What is Ryan Cline's Net Worth? Ryan Cline is a collegiate basketball player. He has yet to play a professional basketball player. He would become one of the top prospects once he enters the NBA draft. He will be earning quite a fortune in the coming years. As of 2019, his net worth is under evaluation.